The Rowan baseball team’s junior infielders — Jason Clapper and Matt Jolly — have been playing the sport they love together their entire lives. The duo has even lined up next to each other, rotating between third base and shortstop, in high school and college. 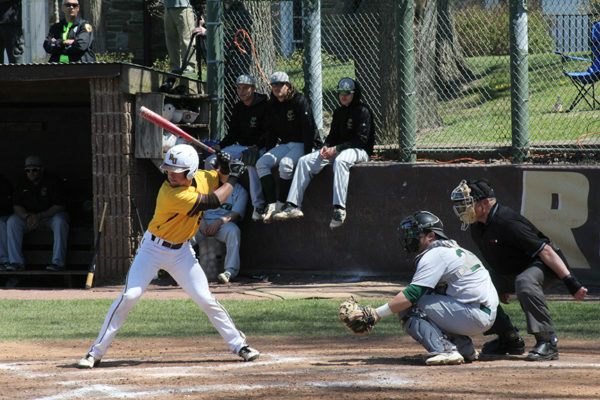 So when Clapper, the starting shortstop, went down with an undisclosed injury against Montclair State University on Saturday, Jolly seamlessly made the switch from third. 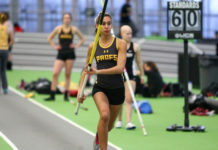 Rowan closed out the weekend by sweeping New Jersey Athletic Conference opponent New Jersey City then followed with a 20-3 drubbing of Eastern. After playing the bulk of their conference season in less than a week, the brown and gold currently sit fourth in the NJAC standings at 6-4 (18-13 overall). They have eight conference games still to play over the final two weeks of the season, half of which are against teams that sit just one game above them: Ramapo College and Kean University. Head coach Mike Dickson said the toughest part of the long weekend was keeping fresh arms on the mound. Dickson added, however, that the rapid-fire rotation gave him a great look to see where his guys are at for the end-of-season push coming up. “I think going into this weekend, I’d like to say I finally have a really good idea who my starters and bullpen guys are going to be, and our plan is in place for these last two weekends,” Dickson said. Clapper believes he will be back in time to help his team make a run at the postseason, adding that the infield has been and should continue to be a strength for Rowan. With Clapper out, the narrative for the team then became how freshman Dillon Mendel would gel at third base with the infield group — Jolly, senior second baseman Evan Hughes and senior first baseman Steven Todd — that had been playing together since the second week of the season. Mendel’s performance over the Profs’ current three-game winning streak showed the pressure was not going to get to him. 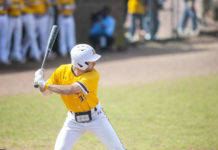 Even with 13 losses already on the season, the Profs remain confident that they will be able to not only go far in the conference playoffs, but also make a run at the Division III tournament. That will start today in the first game of a home and home series at Stockton.